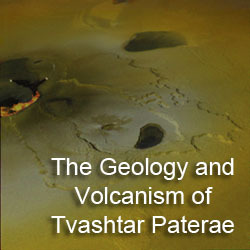 The Gish Bar Times: Another Review for "Volcanism on Io"
In this month's issue of the journal Planetary and Space Sciences, there is a review for Ashley Davies's tome Volcanism on Io: A Comparison with Earth. I took a look at the book back in September, giving it a favorable review. In PSS, University of Bern researcher (and INMS instrument co-I on Io Volcano Observer) Nicolas Thomas also gave the book a favorable review. 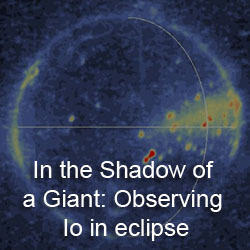 Thomas writes that the book provides a great overview of this increasingly important topic, particularly as NASA seems to be getting serious about a return to Io. He notes some minor issues with the book, such as its scant coverage of theory behind tidal heating and gas plume modelling. The latter was a problem I had, particularly when you compare it to the coverage of the modelling of Ionian lava flows. 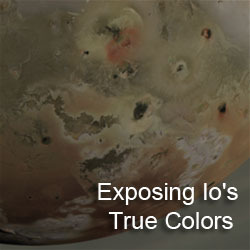 Besides being a straight review, Thomas provides an often amusing look at the problems facing a future Io mission and the reasons why Iophiles should take heart that an Io mission may not be impossible. Besides the usual concerns about radiation and the need for RTGs for power (I was reminded last week that you need RTGs to return data at a high bitrate from Jupiter -- read pictures -- so don't look for me to post that solar-panelled Io mission anytime soon), Thomas notes the programmatic problems with the lack of water and the potential for life on Io. These of course clash with NASA's recent obsession with following the water and astrobiology. However, Thomas tries to sooth these concerns by noting NASA's need to test their next-generation radioisotope power sources (ASRGs), which led to the IVO concept study, the innovative high-inclination orbits to be tested by Juno that would reduce a spacecraft's radiation exposure, and the desire to test rad-hard technology for a future Europa Orbiter.